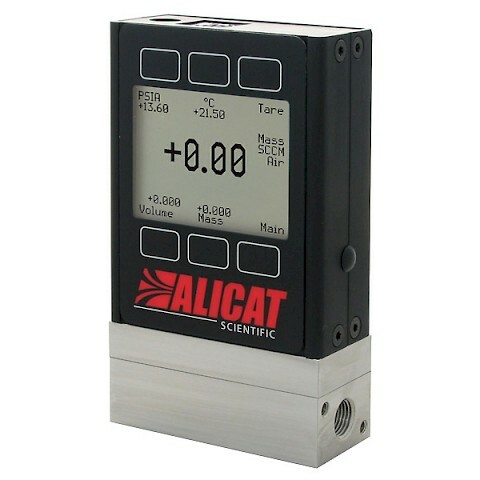 The Alicat RS-485 BB9 multi-drop breakout box connects together your flow, pressure and liquid devices and a computer or Programmable Logic Controller (PLC) which uses the RS-485 communication protocol. 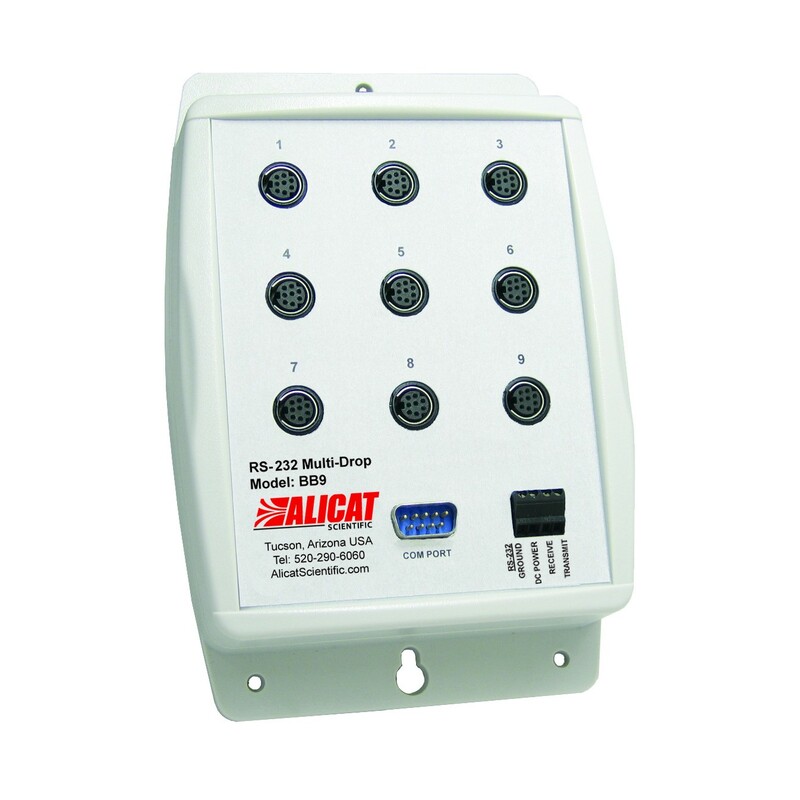 Using double ended 8 pin mini DIN cables carrying both communication and power signals up to nine Alicat devices can be connected to each box or up to 26 devices can be networked together by daisy chaining BB9 boxes together. 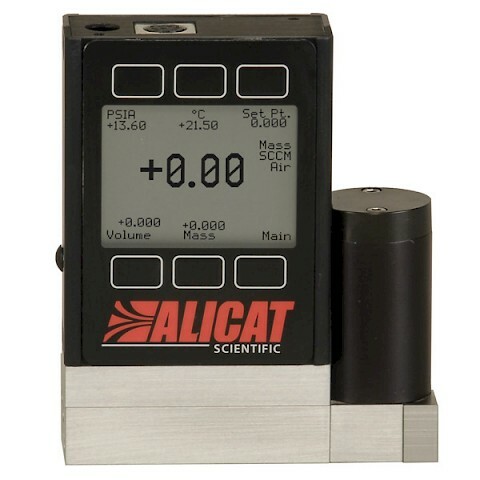 Power is provided either by connection to the BB9 via the terminal block on the front (DC voltage only, max 9 amps), or the Alicat PS24VHC high current power supply (24 Vdc, 6.5-amp), or connecting the PVPS24U (Max 2 amps) power supply to one of your connected Alicat devices. The connection to a computer or PLC can be achieved by either using the included RS-485 serial cable (9 pin D-sub) or via the terminal block using the transmit and receive sockets.